The Club is delighted to announce the appointment of two new Directors. Richard Cooke and Tony Duffy have been invited, and have accepted, to join the Club’s Board of Directors. Richard, Managing Director of Comtek System Solutions is now into his 4th season sponsoring our away strip and has been fundamental in building and launching our new website. Tony Duffy is a well know figure at the Club having been a Bishop supporter all his life and has also served as a Director including spells as Chairman and Secretary and has vast experience of football administration. 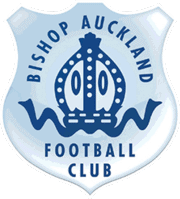 Chairman Nick Postma said ‘We are delighted that both Richard and Tony have agreed to join the Board and support us with both their business and football skills and experience’.